When the fall starts, HVAC companies remind their customers that it’s time to have maintenance done for their heating equipment. Even Southern California can get the winter blues! 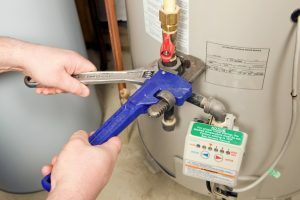 But plumbers also ask their customers to arrange for maintenance as well, and it’s for a heating system that Californians need every day, no matter the weather: the water heater. You certainly have a water heater serving your household’s daily cleaning, washing, and cooking needs. 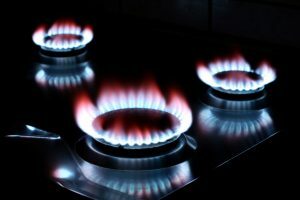 But you may not realize how much work this appliance does: it accounts for almost 40% of the energy used in most homes! That’s a huge chunk of your utility bills. A device this essential that works this hard needs special attention every year. Where do you go for professional water heater maintenance? An expert in plumbing in Riverside, CA or wherever you live. It takes plumbers to deal with the special needs of a water heater. If you are considering replacing your old, inefficient storage tank water heater this fall, first of all—good for you! No reason to keep a power-draining and unreliable old water heater around longer than necessary. Second of all, we recommend giving serious consideration to replacing it with a tankless water heater. You’ve probably heard about some of the great advantages of going with a tankless system: they cost much less to run, have lengthy service lives, take up little space, require fewer repairs, and best of all they won’t run out of hot water! But we’d like to address that last benefit—because this is one of the big pluses of a tankless water heater system that will completely vanish if you don’t have the water heater installed professionally. 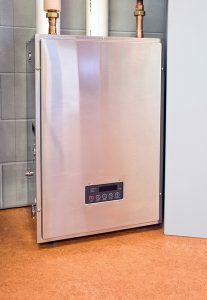 Unless an expert plumber correctly sizes the water heater to match the demands of your household, you’ll end up with a tankless system that won’t be able to keep up.